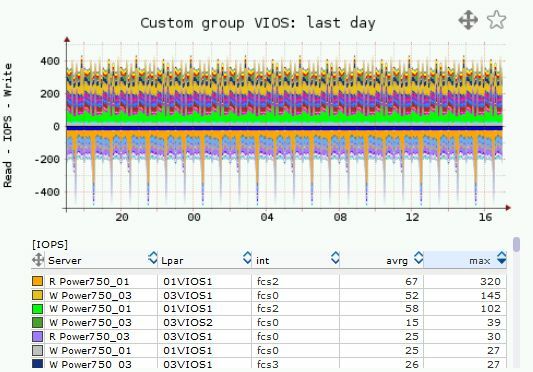 Custom Groups feature allows you group LPARs or CPU pools into one aggregated graph. LPARs or CPU pools could be from different physical servers or even managed by different HMCs and one LPAR could be member of more custom groups. As for historical reports you can select multiple LPARs to get aggregated graphs. 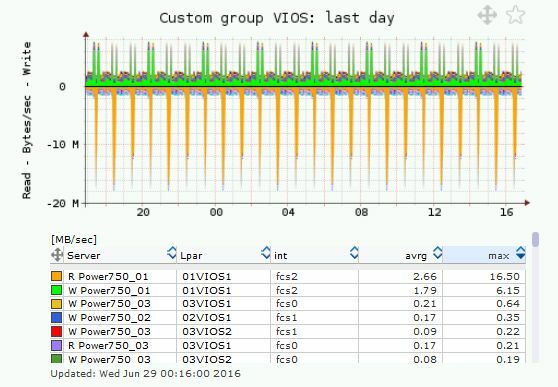 With custom groups you have already configured set of required LPARs and you can display these graphs. 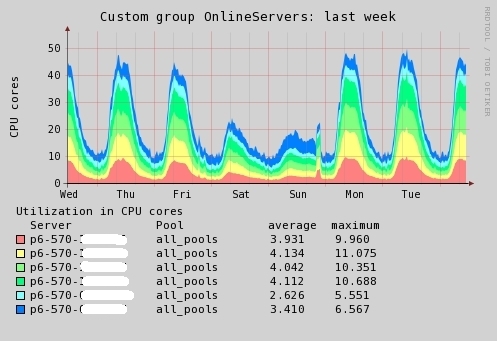 Grouping nodes of a active/active cluster to see total CPU utilization per all cluster nodes in one graph. Grouping nodes of active/passive cluster it might be useful, as you get total CPU utilization together for all nodes of the cluster (active and passives) no matter which one is actually active. Grouping of application farms, environment landscapes (Production, testing, etc). 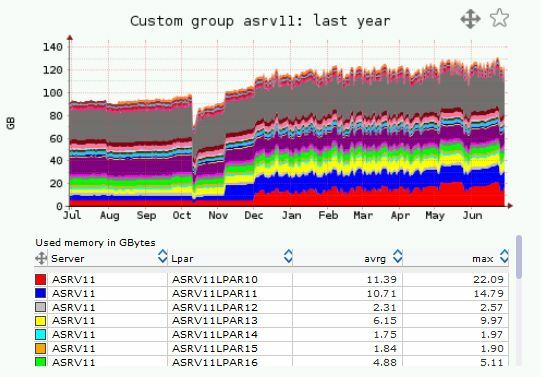 Trend graphs for CPU utilization data (v4.90). Custom Groups are available even in VMware edition (v4.90). New UI based configuration wizard (v4.70).